When it comes to the Point of Sale market there are a variety of options. Each have their own specific advantages. To better help you decide which POS system is best suited for your business needs here are some options. With wireless mobile POS systems your business will have more competitive solutions to surpass their operational constraints. You’ll be able to process payments, manage some inventory, and mange customer information. Pair it with a mobile receipt printer to truly go mobile. The Point of Sale Terminal Systems are the most common. These are types most people use at counter in various applications. They include everything you’ll need to get started with POS in your business. There are systems specifically designed for retail, restaurant, bar, grocery, salon, and iPad based. Each system will provide the most efficient and productive POS experience for your business and your customers. To learn more about Point of Sale options and applications please click here. Star has announced a new series of peripherals for their comprehensive mPOP system. Star’s mPOP now supports an optional scale, 2D barcode scanner, customer display, and external cash drawer. With these added peripherals, retailers and restaurateurs can now transform their mPOP into a complete point of sale hub to accept more versatile transactions in higher volume. Star has integrated support for three Detecto APS scales. The APS scales supported are offered for varied use cases. The APS10 (max. 15 kg) is ideal for candy shops, delis, frozen yogurt shops, etc., where the APS20 (max. 15 kg) is better for larger items like bags of fruit and vegetables at a farmer’s market or grocery store. The APS12 (max. 160 oz.) is best in similar environments as the APS10, or any other location than prefers to measure in ounces. Star has integrated a 2D barcode scanner for the mPOP. Now, users have the option of choosing between the Star 1D scanner and the new 2D scanner. The 2D barcode reader will be beneficial to accept coupons in the form of QR code, or access item information. In addition to 2D barcode scanner support, Star has designed a two-line, blue backlit customer display with up to 20 characters per line. With this support, the retailer can not only show the customer their transaction price, but they can also add advertising messages for when the mPOP is not being used. Lastly, Star added a cash drawer connection port (DK port) to the mPOP to support an extra cash drawer. This is ideal for users who need a point of sale system with a small footprint, but still have a higher cash flow, such as a bar or deli. Datalogic’s new RIDA DBT6400 2D area imager is a cordless device with Bluetooth connectivity to be used in connection with mobile devices. The elegant and stylish design is small, pocket-sized and fits perfectly into the palm of a hand. 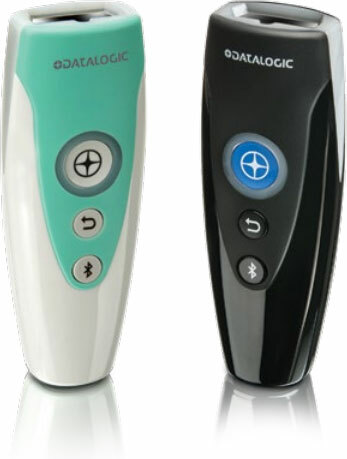 This light weight device, with Datalogic’s patented ‘Green Spot’ technology for good read feedback easily connects with tablets, smart phones, laptops and computers – with an omni-directional camera for superior data capture on all 1D/2D codes. The DBT6400 RIDA imager is available in a standard as well as a Disinfectant Ready version which has an Anti-Microbial coating. The standard version targets retail applications including traditional or mobile POS, assisted sales, shelf replenishment, price verification, inventory management and more. The healthcare version is equipped with a disinfectant-ready and anti-microbial enclosure making it ideal for bedside point-of-care, disposable inventory management, sample tracking, laboratory use and more while helping to prevent cross-contamination. It seems everyone today boasts a public profile on social networks from Facebook and Twitter to LinkedIn. And in the e-commerce space, consumers have become armchair critics, commenting on retailers, products and services via customer reviews. In turn, notions of privacy have been upended in the era of social sharing. So it’s not surprising that most shoppers (74%), are willing to share some level of personal information with retailers, such as their age, likes, dislikes and purchasing history. As a bargain never goes out of style, those shoppers reluctant to share are swayed most by discount offers to provide their personal information. But they expect personalized product and sales offers in return. One-size-fits-all retail promotions and blanket sale offers, like a diaper coupon emailed to a woman without children, seem woefully archaic today. Shoppers prefer receiving personalized offers, for example, before leaving home via email rather than in the store so they can plan ahead. That’s because consumers often research products online, or “webroom,” before heading to the store to make a purchase. By contrast, once consumers are near a store or shopping its aisles, a relevant text offer is preferred, shoppers surveyed said.Retailers now make product recommendations based on shoppers’ purchasing patterns. That’s helped condition consumers to expect offers targeted directly at them.But while consumers increasingly expect retailers to be clued in to their needs with customized offers, they want to determine themselves how they get those offers. Once they’ve set the agenda, they’re open to a variety of marketing tactics. Infographic: Hospitality Solutions with Zebra and Barcodes, Inc.
Keeping customers satisfied is the primary goal in any hospitality environment. Whether your needs are in providing reliable Wi-Fi, loyalty programs, check-in operations, or tableside payments, putting technology solutions to work will help you serve your customers promptly and more efficiently. Empower your staff with the right technology from Zebra and Barcodes, Inc to improve the total customer experience . Are you ready for the new face of mPOS? While the competition keeps pace in technology, Star Micronics delivers ground breaking innovation to the POS industry. Star’s latest innovation in is specifically designed for mPOS applications. 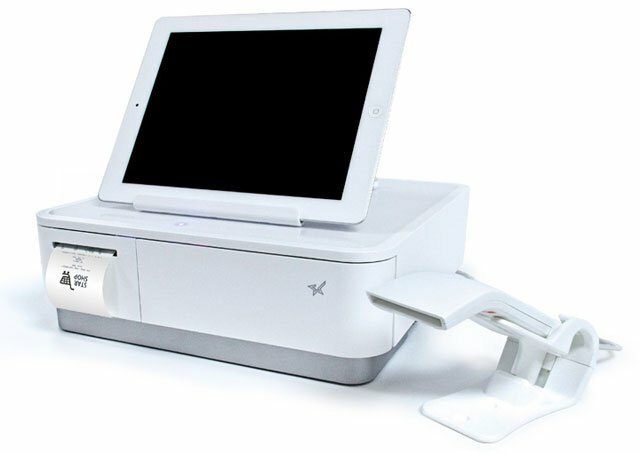 The mPOP epitomizes the convergence of technology, integrating every aspect of a traditional POS system into one ergonomic all-inclusive peripheral. 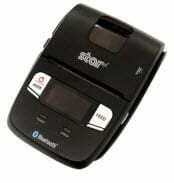 Sleek and modern, its compact design includes a printer, cash drawer, barcode scanner, and device stand. Simply add your preferred tablet or mobile device to create a full multi-functional POS system. Additionally, its flexible, device agnostic capabilities enable it to be available for all major mobile operating systems—Android, Windows, and iOS. ‘Always Leading-Always Innovating’ in cutting-edge technology, Star is proud to announce its SM-L200 two-inch Bluetooth low energy portable printer for the mobile point of sale industry. The SM-L200 supports BLE technology for all iOS mobile devices such as the Apple iPad, iPhone and iPod touch. Its compact and lightweight design make this two-inch portable printer perfect for a wide range of applications from queue busting in retail and hospitality to home delivery 58mm wide invoicing. The SM-L200 is the first portable printer currently on the market which offers the ability to connect any Apple, iOS BLE compatible device without having to pair to it. With no limitation on the number of devices connected, BLE is the perfect solution for BYOD (bring your own device) environments that does not require any certification or prior authorization from your iOS operating system. In addition to the BLE feature for iOS, the SM-L200 is Bluetooth (3.0/ 4.0) compatible with all operating systems (Windows, Android, and iOS). Star has announced the new release of a new 2-inch portable printer, the SM-L200. The SM-L200 has some industry’s first features such like Bluetooth 4.0 communication and a 5V charge. Bluetooth 4.0 is a method of communication which uses the Bluetooth Low Energy (BLE) technology and allows users to communicate with iOS devices (iPhone, iPad) without MFi certification and configure Bluetooth connection (pairing) more easily. Its convenient 5V PC or smartphone charging via a Micro USB cable, which is normally used for consumer products such like smartphones, eliminates a need of the dedicated charging adapter and allows users to charge easily via a charger for a smartphone, a USB port of PC and a portable battery for a cell phone. The SM-L200 realizes the lowest price among Star portable printers and targets customers who focus on “low cost and high functionality” more than “print speed and communication speed”. In today’s market place 69% of restaurant operators are say mobility is the biggest reason for their point of sale upgrades. Don’t be left behind. Elo solutions offers the Elo Tablet for all your mobility needs. Decreasing customer wait time and increasing speed of service are just a couple of advantages with going mobile. There are many accessories from extra batteries and stands and wall mount capabilities. 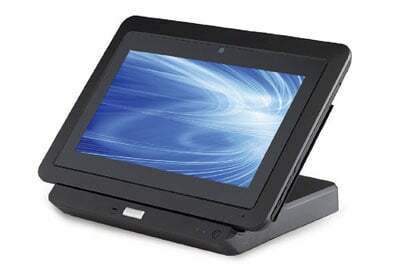 The Elo tablet is a windows based tablet that can operate almost any POS Software. The Elo Tablet is designed to help retailers enhance their customer experience and drive sales efficiency through a point-of-service (POS) and point-of-information (POI) platform that is portable, intuitive, reliable and secure. Millions of real-life retail installations all over the world have helped Elo develop unique insight for this next generation of our touch computing innovation. Epson has announced a partnership with Touch Dynamic to address the growing importance of mobile POS as the overall mobile expansion in retail and hospitality continues. By bundling Epson’s new ultra-compact Mobilink P20 receipt printer with Touch Dynamic’s new 7″ and 10″ Quest Tablets specifically designed for mobile POS, merchants can increase sales and improve customer service.